The New York Times argues that the poor whites of the south need education just as much as the former slaves do, both having been raised in ignorance by the design of the rich planters. What We Owe to the New South The Prevalence and Density of Popular Ignorance. We have other duties to the States and people of the South, beside those that apply to its material interests. Not only the four million blacks, but the great body of the poor whites of that section, have always been in the densest ignorance. The common-school system and the universal popular education of the free States, have never been appreciated or imitated in the Southern States. A select few of the planting classes had, doubtless, a very thorough education and culture; and the body of the planters, as well as the business men of the towns, had a certain amount of school learning; but the generality of the poorer white classes of Virginia and North Carolina, as well as of the cotton States, were absolutely destitute of even the primary elements of knowledge. The census statistics on this subject are bad enough; but they fall very far short of exhibiting the real state of affairs. A person who was present at the paroling of the armies of LEE and JOHNSTON, has declared that less than a fifth of the privates could sign their own name. It was this want of popular education and intelligence that gave the Southern leaders and planters such great power in their respective States, and enabled them to practice such terrible deceptions upon the masses. Before the war, the North could do but little to improve this condition of things among their Southern countrymen. Northern schoolmasters — though there were hardly any other schoolmasters but Northern ones in the South — were looked on with suspicion, denounced as Abolitionists, and not unfrequently driven away or lynched. There was no law for their protection and little encouragement for their labors. The planting aristocracy did not desire the education of the poorer classes, and the latter cared little for it themselves. 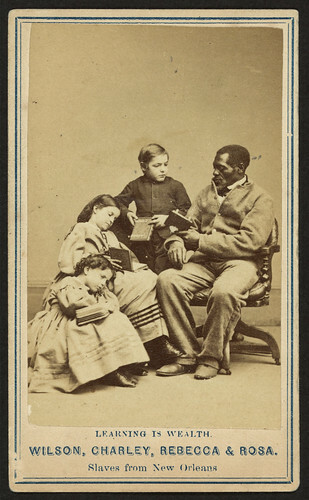 In some of the States, as South Carolina, there were leading public men, such as Mr. FABER, who took the strongest ground against all education for working people, white as well as black, arguing that it only rendered them more wretched, and less content with, their lot in life and position in society. The result of these things — which, in their turn, were the result of slavery and the peculiar social order of the South — was that the great bulk of the Southern whites grew up without education, knowledge or intelligence. There is now an open field all over the South for intelligent people of the Free States to improve its condition in this regard. The schoolmaster is needed in the Southern States. The way is free for him; the opportunity is before him. In ten States, with ten millions of people, there is abundant scope for his labors. They should not wait till the Southerners call them, but they should go as good men go to India or Africa, bearing with them the light of intelligence, freedom and civilization. There is missionary ground enough now in the South. Thus far hardly anything has been done for those poor ignorant whites. A great deal more has been done for the blacks, who need it as much, perhaps, but no more. We would especially ask attention to this subject of popular education on the part of those who are engaged in the incipient labors of reconstituting government and social order in the States of the South. It should be laid on the broadest basis at the very first, and, out of the great resources of the South, the most ample provision should be made for it. The old order of things has been overthrown; the old and exclusive ruling and domineering class have passed away. Henceforth, the South requires for its safety an educated and intelligent democracy. The constitution-makers and Legislatures of the South, cooperating with the people of the North, can, in the coming year, lay the foundation of its permanent existence. This entry was posted in Education, Reconstruction. Bookmark the permalink. Has anyone ever investigated the veracity of this statement? I would be interested to know the actual percentage of men in the ANV that could not sign their name.